The Area Info Division is currently building a database of Arabic periodicals. The second catalog of periodical publications was already published on the basis of this database. The second catalog deals with periodicals published in Lebanon, which along with Egypt is a publishing powerhouse of the Arab world. In terms of the number of periodicals and newspapers, Lebanon may well be the largest publishing center of the region. Researchers make heavy use of the periodicals published there, which offer large amounts of information. The purpose of this project is to provide basic support for area studies. It is expected that this second volume will prove to be as useful as the first. With regard to Arabic-language periodicals, only a very small number of union catalogs have been published in any country of the region. It goes without saying that periodicals are important materials for area studies, and this project is meant exactly to support area studies by building a database of information on periodical publications. 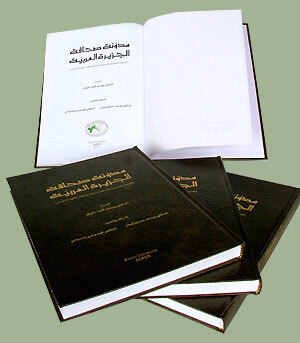 Published here in the book form on the basis of the database for the first time is A Catalog of Periodicals Published in the Arabian Peninsula. The countries covered by the volume are: the United Arab Emirates, Yemen, Oman, Qatar, Saudi Arabia, and Bahrain. We hope that researchers will find the volume valuable.